Siamgas and Petrochemicals (“SGP”) is a LPG trader of LPG under trademark “Siamgas”. 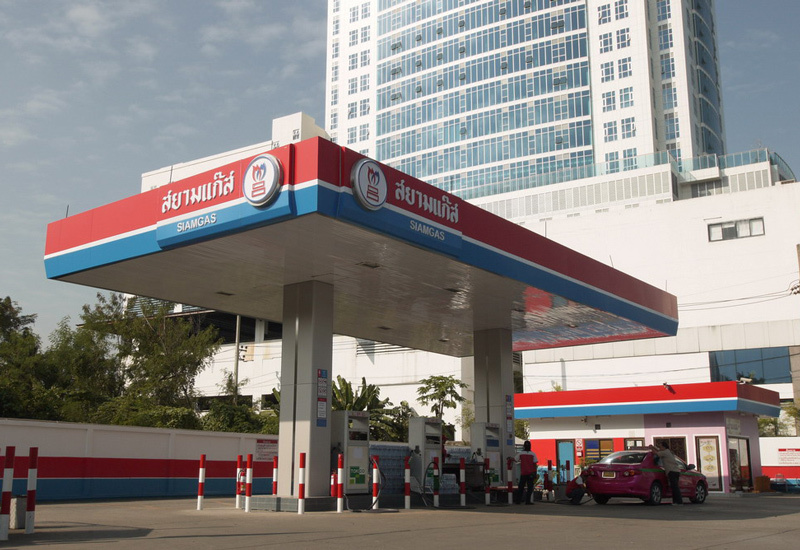 SGP operates for over 50 years as a trader under section 7 of Fuel Trade Act B.E. 2543. SGP distributes LPG through the following channels 1. 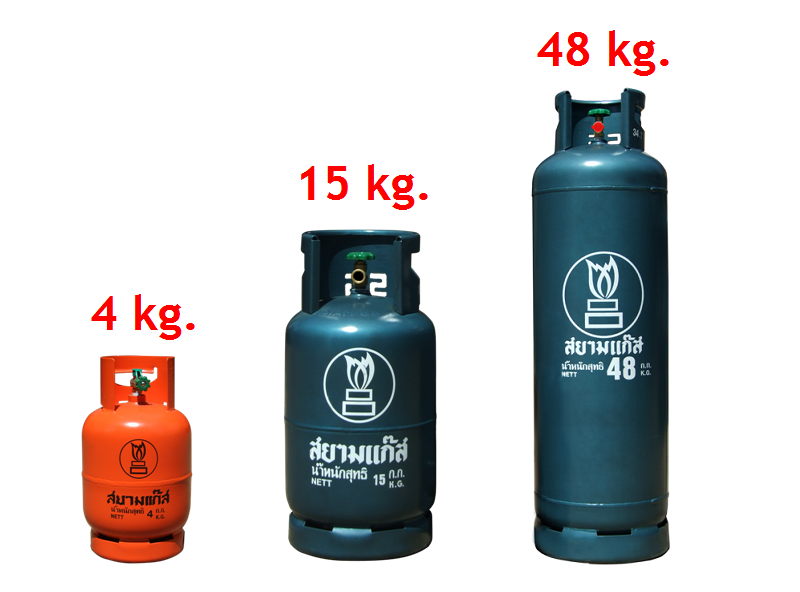 Through LPG cylinder uses in household and industry with various size from 4 kg., 15 kg., and 48 kg. 2. 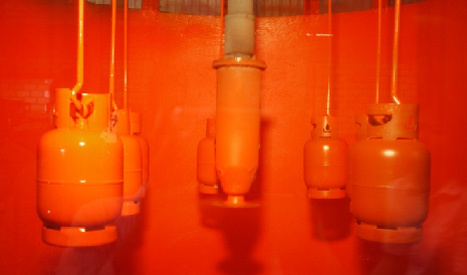 LPG uses in automobile through the Company’s gas stations and 3.Through large bulk containers uses by large industrial users. 736 RAMA3 Road, Bangpongpang, Yan Nawa, Bangkok | TEL. 30/1 Moo.11 Sukhumvit Road, Bang Pakong, Chachoengsao | TEL. 99 Moo.3 Ban haet, Ban Phai, Khon Kaen | TEL. 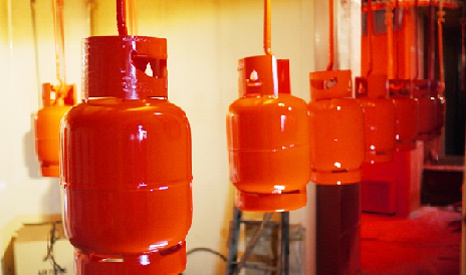 The Company operates LPG and oil transportation business under two subsidiaries which are 1. Lucky Carrier Company Limited (“LCR”) operates land transportation business and 2. Siam Lucky Marine Company Limited (“SLM”) operates marine transportation business. Both subsidiaries has a license for oil transportation under section 12 of Fuel Trade Act, BE 2543 and under section 13 bis of Fuel Trade Act, B.E. 2521 which amend under Fuel Trade Act, (no. 2) B.E. 2522 from Department of Business Development. 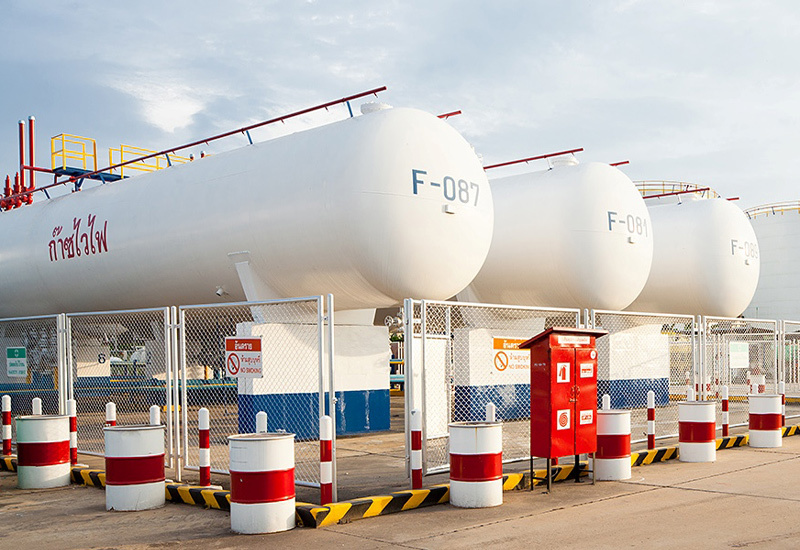 LCR provides LPG and oil transportation service to its customers nationwide. The fleet of LCR comprises of over 400 LPG and oil road tankers with combined loading capacity of over 3,500 tons. SLM operates marine transportation of LPG and petroleum. At present, SLM has over 20 LPG tanker vessels with the combined loading capacity of over 110,000 tons. SLM provides transportation service to both domestic and oversea customers and at present SLM owned three VLGC with combined loading capacity of 106.000 tons. 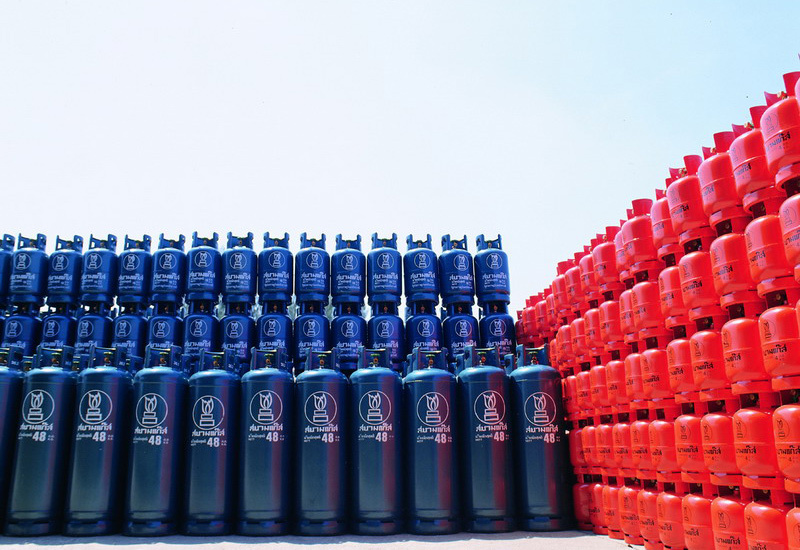 SGP has founded Siam Quality Steel Co., Ltd. (SQS) to manufacture and distribute LPG cylinders for Siamgas group and other customers. SQS brand is recognized and accepted in quality standard from local and international customers. SQS controls all the quality aspects in every manufacturing process and develops cylinder product to meet a new market demand. SQS cylinders were certified by Thailand Industrial Standards Institute (TISI), International Standards (ISO) and United States Standard (DOT4BA, DOT4BW). The product lines include cylinders for household and cylinders for automobiles. In addition, SQS manufactures cylinders in various sizes under customers’ specification. SQS has maximum production capacity of 750,000 cylinders per annum with cylinders maintenance services to repair cylinder to a good condition and meet all safety standard.